The financial crisis struck with full force in the autumn of 2008. Very soon after the start of the crisis, culprits were sought. An important recurring argument was that liberalization of trade in banking services, as pursued at the European (within the EU) and international level (in the WTO), had seriously reduced the possibilities for governments to regulate and supervise the banking sector. 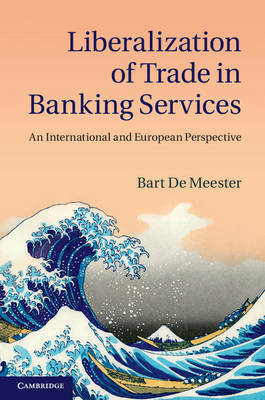 This book examines the validity of this claim and considers how EU law and WTO law deal with the trade-off any policy-maker must make between stability and efficiency in the market for banking services. The book considers specifically the interaction between EU and WTO law because the EU is itself a Member of the WTO, next to its Member States. This implies that the EU must respect the obligations it undertook in the framework of the WTO when the EU determines its policy towards third-country banks.